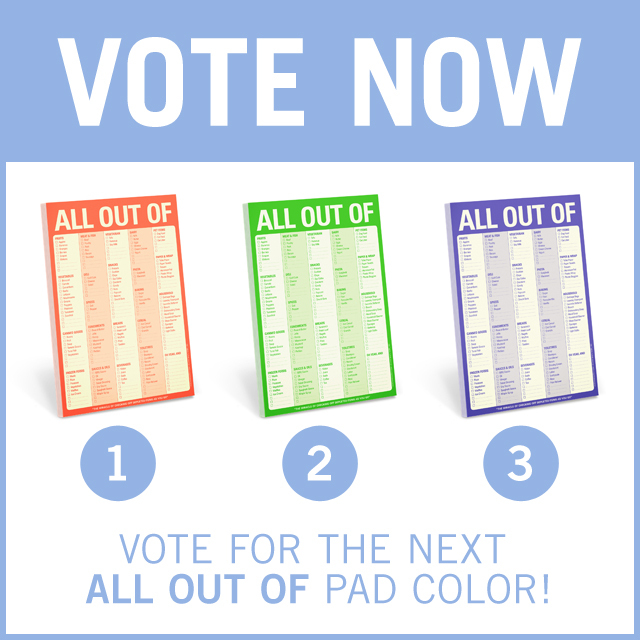 We asked you, our fans, to choose the next color to join our All Out Of Pad family. Voters had the choice to choose between florescent orange, florescent green, or florescent purple. 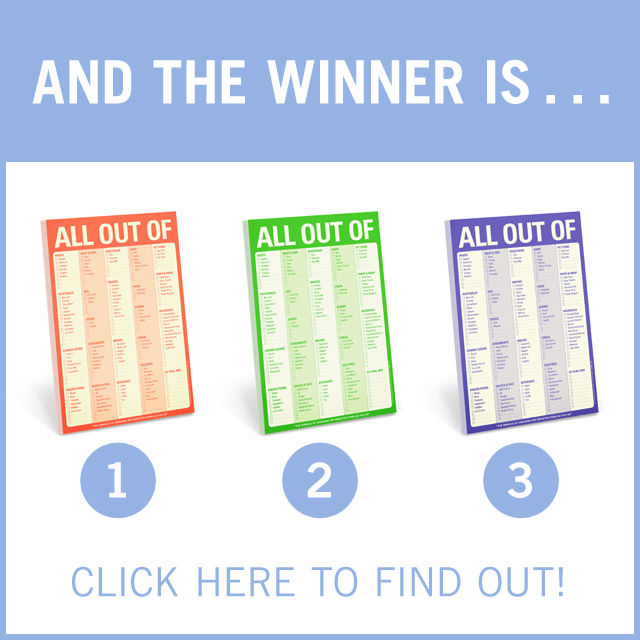 The votes have been tallied and it's time to reveal the winner! Now that we’ve sold a million All Out Of Pads since it debuted in 2004, what’s next? Did someone say “a new All Out Of Pad color”? We thought so. To celebrate this stellar milestone, we’ve decided to add a new shade to our All Out Of family—but we want YOU, our tried and true fans, to choose the hue! 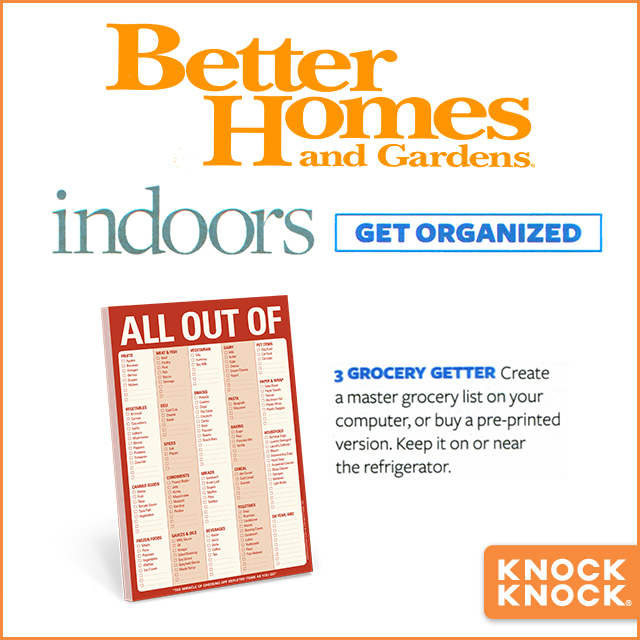 Knock Knock’s classic All Out Of Pad is featured on Better Homes and Gardens as an essential kitchen item for your fridge. Grab your own here.